First let’s get a few basics out of the way. To sing on pitch, you will need basic singing skills which usually require regular vocal exercises founded on sound vocal pedagogy. You need to develop the ability to sing without strain! Next, breath support is critical for maintaining pitch and there are many resources and practices for this. Note that breath support for singing is not the same as breath support for exercise. It’s not critical that you have mastered all of the foundations before beginning work on your pitch… just that you’ll need the foundation to ultimately resolve many of your pitch concerns. Find the highest note you can comfortably sing, and the lowest note you can comfortably sing. Avoid attempting to work on entire songs or phrases when you first begin. The idea is to build a strong foundation. By systematically building a strong foundation, you will gradually work out most of the problems in singing songs. Using a program like PitchPerfector, work with a single pitch in your mid range until you see significant improvement (this could be 5 minutes or less, or a few days of 10-20 minute segments). Step 3 – Expand gradually to higher notes within your range with a Single Note, then lower notes. It’s helpful to work on notes throughout your range, and can be useful to notice patterns within your range. For example, you may sing more sharp or flat on higher notes or lower notes. Step 4 – Move to short 3 note scales and 3 note arpeggios, starting in the middle of your range and expanding to higher and lower notes within your range. Again, notice patterns. Now that you have additional notes to jump too, you’ll probably notice similar patterns of over shooting upward leaps, or scooping into notes. Just as with single note practice, there may be variations in the patterns throughout your range. Continue the same sensibilities of training as used with single note, short scales and short arpeggios. 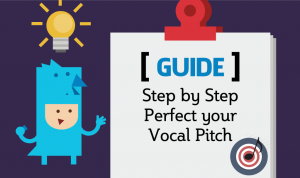 If you follow these steps your probability of mastering your voice pitch problems is very high. If you jump ahead and run into problems, drop back to previous steps until solid, then continue. 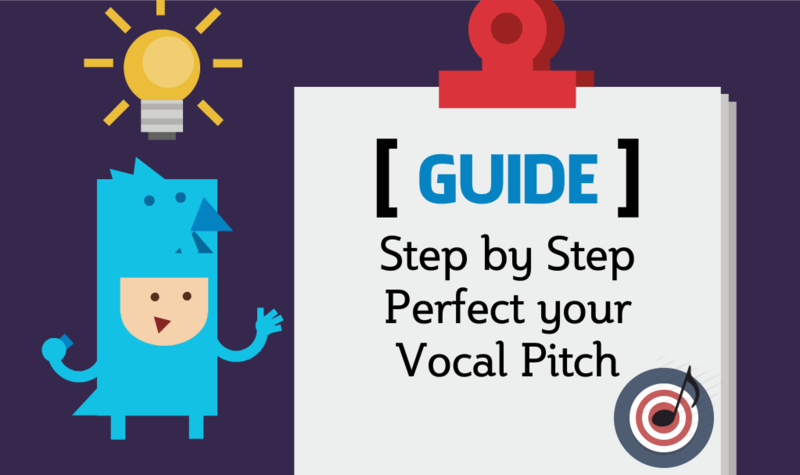 PitchPerfector is the best program on the market to Train You to Sing on Pitch, with Thousands of successful users, and comes with a Money Back Guarantee! Let me know how it goes. I’m here to help.